Acupuncture is part of traditional Chinese medicine, being wholly described and published around 100 A.D. Modern acupuncture is based on Chinese publications from the Song dynasty period. This treatment arrived in the Western world in the 17th century, and was associated at first with surgery. The transmission of Chinese medicine into the contemporary world and Western languages presents a significant challenge for its preservation and evolution as a distinct medical discipline. The practice of acupuncture is now considered a liberal profession, despite the significant increase in this therapeutics practice recorded between 2000 and 2010. Traditional Chinese medicine is an alternative method to treat several illnesses and diseases, including endometriosis and cerebral ischemia. 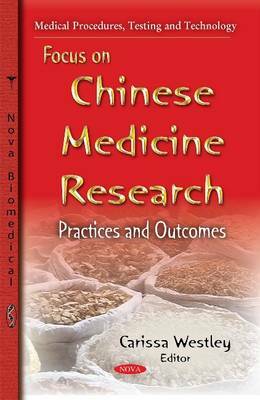 This book discusses the practices and outcomes of Chinese medicine.